Stonefire Grills have announced the debut of a new dessert that has become an instant bestseller just days after its release. But the recipe did not come from the restaurants’ kitchen staff or proprietors. Instead it is based on a generations old recipe from Sandy Moreno of Lake Sherwood, who has never shared it before with the exception of her immediate family. Since Moreno is an extended member of the Harrigan family, owners of Stonefire Grills, she generously offered to share the treasured secret that has been in her family for years. 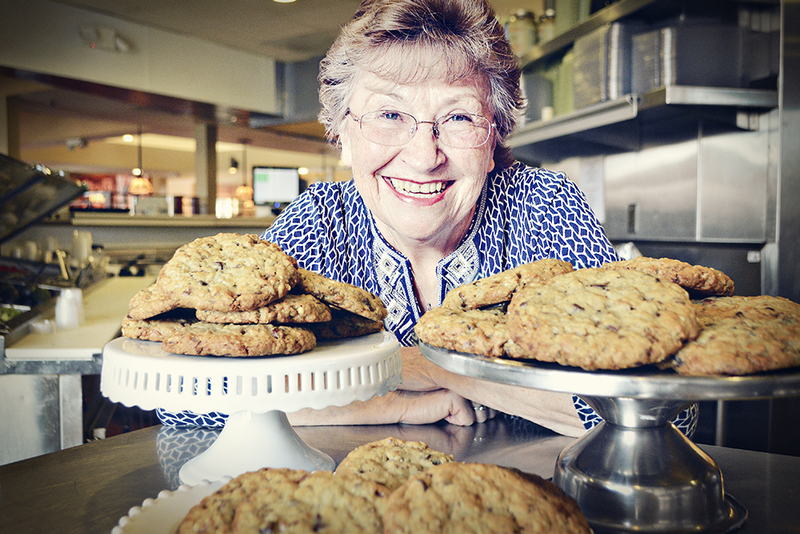 Stonefire Grills have dubbed the new treat “Sandy’s Cookie” in her honor. The oversized dessert contains dark chocolate chips, Heath Bar bits, oatmeal and walnuts is available at all 7 locations for $2.79. Sandy’s Cookie fell in the hands of the Stonefire Grill team after Moreno brought them to a 4th of July family celebration and they were the hit of day. Mary Harrigan thought they would be a sensation at the restaurants so she asked Moreno if she wouldn’t mind sharing the recipe. It was introduced at the Thousand Oaks location and was an immediate hit. 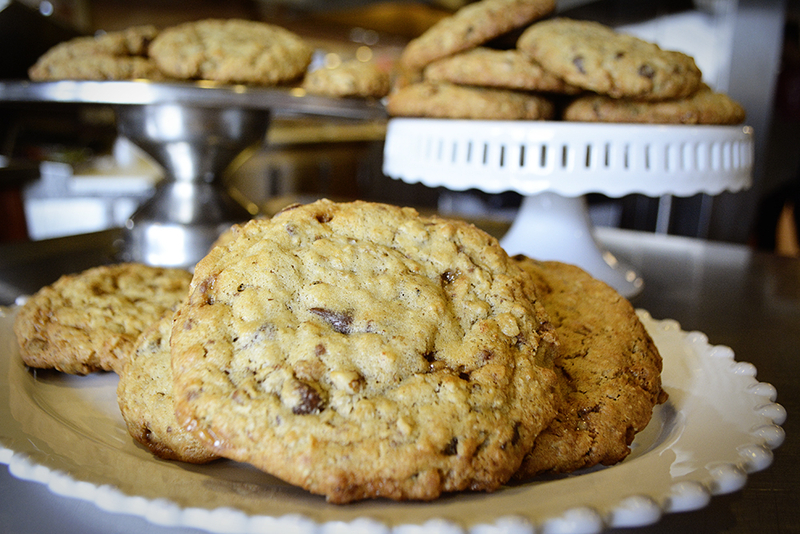 The cookie has since developed a “cult following” says Justin Lopez, the restaurants’ spokesperson. This is just another sweet reason to visit Stonefire Grill who has locations in Valencia, West Hills, Fountain Valley, Irvine, Chatsworth, Pasadena and Thousand Oaks.